The real estate settlement process begins with the Contract of Sale. It is in the Contract that the Buyer and Seller agree on the terms of the transaction, including the sale price, the date of settlement and the division of settlement or closing costs. It is also in the Contract of Sale that the parties decide where and by whom the settlement of the transaction will be held. Under Maryland Law, the Buyer of Maryland Real Estate has the choice as to which title company or settlement attorney will conduct the closing. It is important that the terms of your Contract of Sale are clear and unambiguous to avoid problems and disputes during the settlement process. Your real estate agent will typically assist you with drafting and negotiating the terms of your contract. However, if you have questions or if your transaction involves unusual terms or conditions, do not hesitate to contact the Real Estate Practice Group at Davis, Upton & Palumbo, LLC. If you are the Buyer (or Purchaser) in a Maryland residential real estate transaction, the settlement process begins when you select Maryland Trust Title & Escrow, LLC to perform your settlement. 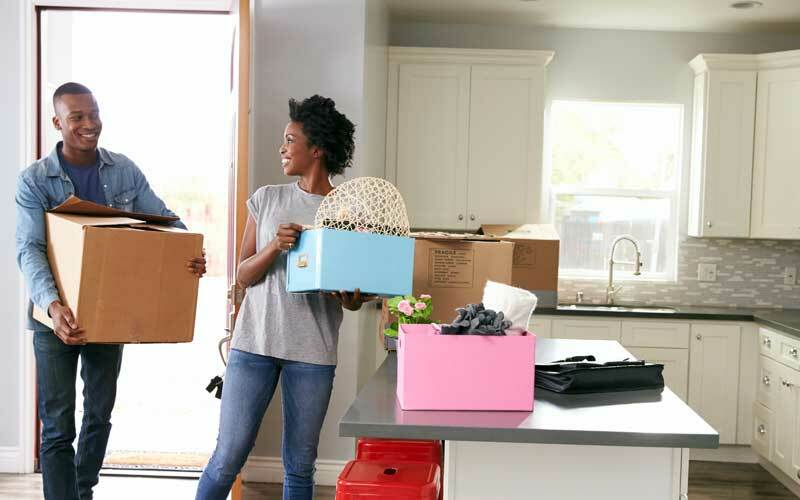 If you are a First-Time Maryland Buyer of Real Estate, make sure this is noted in the Contract of Sale as you are entitled to a waiver of the Maryland Transfer Tax. Once the Contract of Sale is fully executed, you or your real estate agent will forward the completed contract to our Maryland settlement professionals with an order for settlement services. When we receive the settlement order, we will order an Abstract of Title and will review the Contract of Sale to familiarize ourselves with the terms of the transactions. If you are financing your transaction, we will contact your lender and work closely with them to exchange information and schedule settlement. We work with your real estate agent and the Seller to make certain that all details of your settlement are covered. We will carefully review the Title Abstract and prepare a Commitment for Title Insurance clearly listing any known encumbrances. As the Settlement date approaches, we will need to know if you wish to purchase Title Insurance or if you will be entitled to a Re-Issue credit as a result of your Seller having purchased an Owner’s Policy of Title Insurance. Also, if you are buying the property with someone else, we will need to know whether you would like to hold title as Tenants in Common, Tenants by the Entirety or as Joint Tenants. For a description of these three tenancies, see Holding Title in Maryland. Once your Lender obtains approval for your loan and all conditions to closing have been satisfied, we will schedule the settlement at a time convenient to all parties. We will prepare the ALTA settlement statement and closing disclosure based upon the transaction terms set forth in your Contract of Sale and will include any loan fees, lender charges and other settlement expenses. In most cases, we will send out a completed ALTA for everyone’s approval prior to settlement so that any issues may be identified and resolved prior to actually coming to the closing table. The funds that you will need to bring to settlement will be shown on the settlement sheet and closing disclosure. These funds will need to be in the form of a cashiers check, certified check, cash, or wired funds. Unfortunately, personal checks and credit cards cannot be accepted. At settlement, we will carefully review the ALTA and other closing documents with you. We will receive and deposit all funds needed to complete the transaction. After settlement, we will disburse all funds in strict accordance with the settlement sheet and closing disclosure. We will record your new deed in the Land Records, along with any mortgage or deed of trust. We will issue the final title policies and return the package of loan documents to the lender. In short, we will gladly handle all of the details of the real estate settlement transaction for you. Even though the Buyer of Maryland Real Estate has the choice as to who conducts the settlement, at Maryland Trust Title & Escrow, LLC, we strive to make the Seller’s settlement transaction as smooth as possible as well. We work closely with your real estate agent throughout the process and make certain that the settlement sheet and closing disclosure reflects the terms of the real estate contract. If you have one or more outstanding mortgages on the property to be sold, we need to know the identity of the Lender and your loan number, if possible, so we can order a loan payoff statement. This payoff statement will tell us how much of the sale proceeds we will need to deduct from the sales price of the property in order to clear the title of the lien of your existing loan. As settlement nears, we will prepare the settlement sheet and closing disclosure and forward it to you and your agent as far in advance of settlement as possible. This way, any potential problems can be identified and corrected prior to settlement. We will make every attempt to disburse your settlement proceeds at settlement. We can also wire your settlement proceeds directly to your bank account. If you have any other questions or concerns about the settlement process, please don’t hesitate to contact us today.